Succession planning was very much in vogue last month in Irish sport with both the national football and rugby associations announcing who will be overseeing the teams in both the short and long term. Mick McCarthy has returned for a second spell as Ireland football manager to attack the challenge of qualifying for - and hopefully competing at - Euro 2020, with Stephen Kenny slated to take over thereafter. In rugby, Ireland head coach Joe Schmidt confirmed that his highly successful decade in this country will come to an end after next autumn's World Cup in Japan. Defence coach Andy Farrell will take on the top job and lead Ireland to the 2023 World Cup in France. Farrell's ascension was mooted for some time, but while there will be a good deal of continuity among the coaching staff - with forwards coach Simon Easterby and skills/kicking coach Richie Murphy also staying on - the new head coach will also have some vacancies to fill. Scrum coach Greg Feek is taking a job in Japan after the World Cup while it is expected that Farrell will bring in someone to help with the attack and other areas in the absence of Schmidt's unmatched rugby brain. Leinster scrum coach John Fogarty has been mooted for the former post, while a number of interesting names have been linked with the latter role, chiefly Leinster senior coach Stuart Lancaster and current Crusaders assistant coach - and Irish rugby legend - Ronan O'Gara. Lancaster's turnaround from sacked England coach to the toast of club rugby has been remarkable, with Leinster winning a Champions Cup and PRO 14 double last season. The eastern province's exciting style of play - 'comfortable in chaos' is a phrase that has been thrown around - would make him an interesting appointment as Ireland's attack coach. Meanwhile, O'Gara's credentials have been growing with every season. He progressed from kicking coach to defence coach during his successful four-and-a-half seasons with Racing 92, while his first campaign with the Crusaders saw the Christchurch side win a second consecutive Super Rugby title. 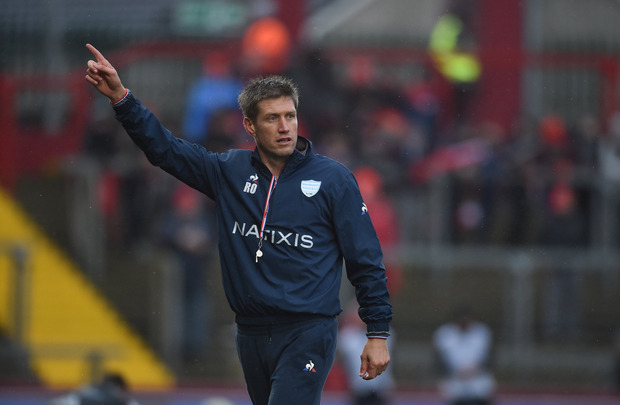 O'Gara is signed up for 2019 with the Crusaders, as Lancaster is with Leinster, so either man could conceivably be available to move into the Ireland set-up under Farrell after the World Cup. HSBC global rugby sevens ambassador Brian O'Driscoll thinks that despite Lancaster being, perhaps, the obvious choice, O'Gara will likely be on Farrell's shortlist too after building an impressive coaching CV. "We have some great Irish coaches coming through now," O'Driscoll said. "Gone are the years where we had to consistently look to outside. That's one of the things that has really come on during Joe's tenure, we have seen good quality coaches beginning to prosper. "Leo [Cullen] has done a great job with the help of Stuart Lancaster. Girvan Dempsey has developed, Richie Murphy under Joe Schmidt, Felix Jones and Jerry Flannery. All these coaches are building their coaching IQ and are biding their time and ROG has definitely done that. "He has done it the smart way by going to France and New Zealand and the knowledge he must be picking up over there is going to serve him well. We don't have to look left-field. We can look internally first and if the fit is right, Andy Farrell will select accordingly. "A lot of it is about personality and about understanding the philosophy about how a certain coach likes it done. There is a continuation now with Andy Farrell and I think that is clever because we have had a winning formula, similar to what New Zealand did by bringing Steve Hansen in after Graham Henry. "I think this is really smart to keep a lot of things that are going well for you and then just modify slightly as the game evolves. Someone that comes in with a different take on things, I know ROG has a different take on things, so I would imagine he would do a great job. "I'd imagine ROG is certainly in the mix for it." Brian O’Driscoll is a HSBC global rugby sevens ambassador. He is working alongside HSBC to support the explosive growth of rugby sevens, helping the exciting and unpredictable sport thrive all over the world. Follow all the action at @HSBC_Sport on Twitter, Facebook and Instagram.